While the strip of Las Vegas conveys glitz and glamor, the surrounding scenery leaves people awestruck as well. That is why adding a day trip to the Grand Canyon is always a good idea. Travelers to the Canyon, who take one of the tours in Grand Canyon National Park, also stop by the great and powerful Hoover Dam and majestic and blue Lake Mead. The best time to go, temperature-wise, is from March to May or from September to November. However, you can still enjoy air-conditioned travel if you choose to journey in the summertime. It’s always nice to balance out your trip by experiencing the Vegas night life and seeing some of the natural sights surrounding the Vegas strip. Why only visit Red Rock Canyon when you can see one of the natural wonders of the world? The “Grand” in Grand Canyon really says it all. If you want to know more about the tours in Grand Canyon National Park, you need to contact a tour provider, such as our company, Grand Canyon Destinations. We can provide you with information about the sights along the way and in the park, and supply luxury travel via Mercedes tour buses. All you need to do is adjust your cushiony seat and savor the scenery from panoramic, tourist-friendly windows. Individually controlled air will keep you cool and composed on hot Southwest days. We also offer on-time morning pickups and timely drop offs in the evening from and to your hotel. Our sole purpose at Grand Canyon Destinations is to make a passenger’s trip memorable and relaxing. Long rides become anticipated journeys when everyone rides in comfort. 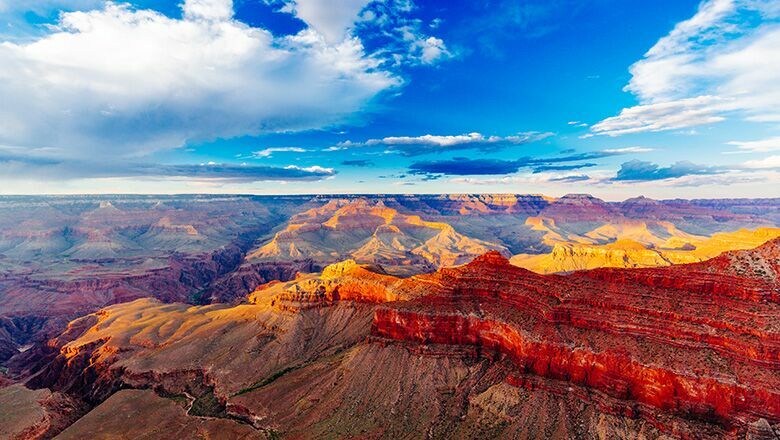 When you take one of our tours here at Grand Canyon Destinations, expect to be impressed. Our professional tour guides will lend interest to your Grand Canyon journey by providing interesting informational tidbits and facts. You can also capture some great photos at many of the scenic points in the park. Call our travel service today to learn more about our day excursions for Vegas vacationers.